Meets on alternate Sunday evenings at 7pm and is open to all children who are at Secondary School or above. We usually eat together, and then just spend time talking and enjoying each others company. 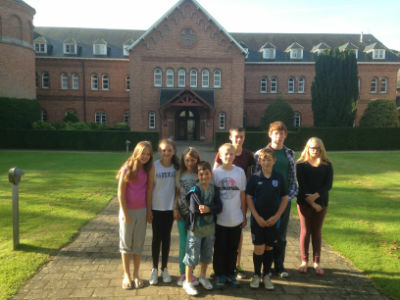 LAst Summer members of Youth Fellowship spent a week at a Benedictine Monastery just outside Brugge in Belgium. 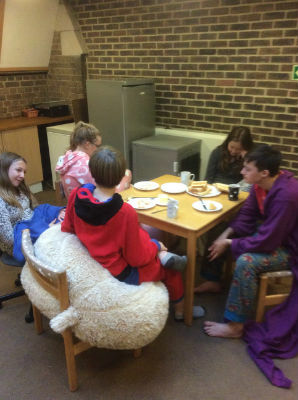 For the last several years, Youth Fellowship have raised money for the BBC's Children in Need appeal. This usually involves a sponsored all night movie and Pizza Marathon in the Parish Centre! at the end of an all night movie marathon! 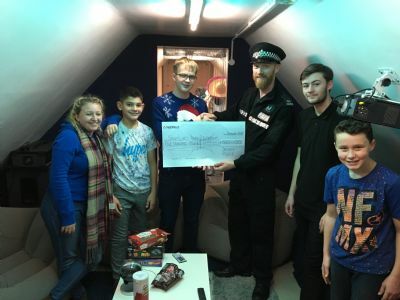 Following a successful application for funding to Sussex Police from YF member Zac, we now have a fully equipped Youth Space at the Church. 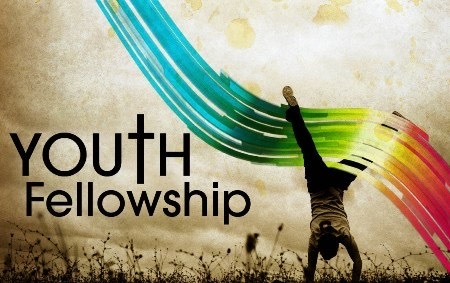 St. Luke's Youth Fellowship has its own Facebook Page to help us keep in touch. Why not check it out. (Page will open in a new window).